Technical specifications on the 3D printing material. Our resin 3D prints are originally white. Sculpteo can then tint the object to a color of your choosing. You can also easily realize your own finishing with this material. You’ll find more information on at-home polishing in the paragraph on colors and finishings. If you want to learn more about how a resin 3D printer works, you can also refer to our Polyjet resin process page. The printing price of your 3d design is calculated automatically the moment it is placed online. As you modify your object you will note that the price changes automatically. The pricing is based on a series of factors, including: volume of material used, size of object, and multiple other factors. To see your price in just a few clicks you just need to upload your file. We estimate our resin prints will be shipped 4-5 days after the order is placed. An additional day or two may also be required depending on the finishing options you choose. In some outstanding cases, the print can take more time to be shipped- this usually depends on the volume of prints being processed. The exact shipping estimate will be given upon checkout. Before printing your object you must create a 3D model using a program dedicated to 3D modeling or a CAD software. 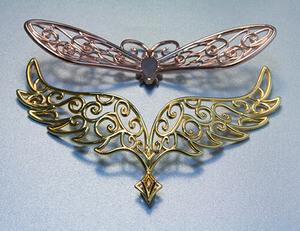 Your 3D model details are then sent to our 3D printers and arranged within the next available batch. For Verowhite resin prints, that batch will be in one of our Objet 30 Pro or Connex 250 by Stratasys. The 3D print itself is carried out layer by layer within a batch of photosensitive plastic liquid. A UV light passes over where the object will be, hardening the Verowhite liquid with a high level of accuracy. Another 3D printer head simultaneously injects fine layers of FullCore 705 (another, more fragile, plastic material) which are used as supports during the 3D printing process and are removed after the 3D print is completed. The process of fine layer polymerization is repeated until the object is finished. If a particular color was chosen for the object, it will be applied after the 3D printed object is washed. More information on the coloring options available can be found in the following section. Compared with a standard engineering plastic such as standard ABS thermoplastic, VeroWhite photopolymer is stronger and stiffer compared against industry average for tensile strength, flex strength and flex modulus. However, VeroWhite Resin (rigid opaque resin) is more similar to an acrylic than an ABS, PC, polypropylene or polyamide. This is why the VeroWhite Resin is generally designated for light functional testing, patterns, prototypes and models. The VeroWhite Resin (opaque Polyjet resin) is suitable for making large volumes with small details on it but it is not suitable for wired shapes. With regards to water qualities, VeroWhite resin is water-resistant but not waterproof. Thus the 3D object must not rest in contact with water for extended periods of time. 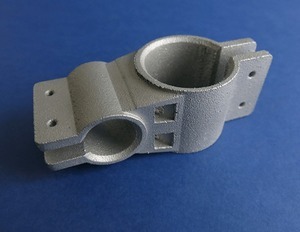 In terms of temperature, if the Verowhite 3D printed part is subjected to heat above 50°C (122°F), it is possible that the physical form of the object can significantly altered. To avoid objects in VeroWhite resin to become dirtied, you can often clean them with soapy water and a cloth, letting it dry thoroughly. However, we strongly recommend avoiding strong friction with your colored Verowhite objects to prevent surface degradation. You can order VeroWhite resin objects in a plethora of coloring options. The available colors can obtained through a couple different processes. The objects are printed directly in Verowhite resin. The pieces exit the 3d printer monochromatic but can undergo post-process coloring. We also 3D print another translucent Polyjet resin material: the VeroClear resin. You can see more details on this 3D printing material on the dedicated VeroClear resin page. For prints in different colors and finishings, you must fill out a request with our sales team. It’s an easy process, just fill out a contact form. VeroWhite resin material (opaque PolyJet resin) is adapted to at-home post treatment. Thus, you can easily make your own finishes on your object: polishing, dyeing, painting, varnishing, and more. For at-home finishing and polishing techniques, we invite you to take a look at our tutorial on Polyjet resin polishing. 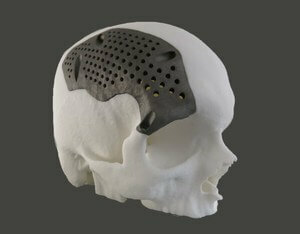 Our Objet 30 Pro by Stratasys allows us to print with a layer thickness of 28 µm or 0.028 mm. In consequence, it is important that your design are exported with the highest quality possible. This will avoid any sort of triangulation during the 3D print - though keep in mind your file cannot be greater than 50mb. The maximum dimensions of your models are limited by the physical size of our resin 3D printers - nothing can be printed larger than the printer bed. The walls of your object must be thick enough to support the weight of the object without breaking under its own weight. 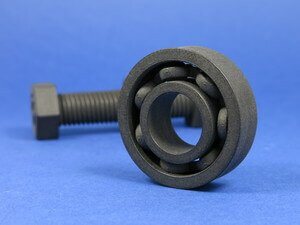 We recommend designing your model with the material’s minimum design standards. A minimum wall thickness of 2 mm is recommended for VeroWhite resin (opaque PolyJet resin). It is possible to add a support structure to maintain stability. For example, if you are modelling a bust of a person, you can attach thin aspects of the design like the ears in more places around the model’s head. Doing that will avoid cantilevered and easily breakable elements in the final 3D print. A detail’s minimum precision is mainly determined the resolution of our printers. However, during the cleaning process, a fine layer of detail can also be lost. In order for a detail and text to be visible we recommend following our recommended sizes at the very least. To ensure details will be visible, their width should be at least as big as their depth. Our VeroWhite resin material (opaque Polyjet resin) has the ability to print some of the most complex designs of our materials. An example of a complex design is a volume enclosed within another volume or with articulations. Our resin 3D printers have the ability to print in a fully interlocked object out of the printer. For a successful 3D print a minimum clearance between objects is required to allow removing support material after the process of photopolymerization. If this space is not left within the design, the object will be a solid. This is particularly important for articulated objects - as the space left between the walls will define the object’s ability to move. Objects printed in VeroWhite resin (opaque Polyjet resin) can be printed to be assembled. As long as a width of at least 0.4 mm is left between the different parts of the object. Because of its printing technique, our Verowhite resin 3D printing process does not allow for the hollowing of your object. For this reason, the option is not available during checkout. For the same reason, it is not possible to create an empty cavity within a closed VeroWhite resin object. If the object were hollowed, the 3D printer would add support elements in the empty space. Those elements run a high risk of breaking as the object is handled. It is not possible to upload a file to be printed in Verowhite resin (opaque Polyjet resin) with multiple objects. Sculpteo offers other 3D printing resin materials based on the CLIP 3D printing technology .